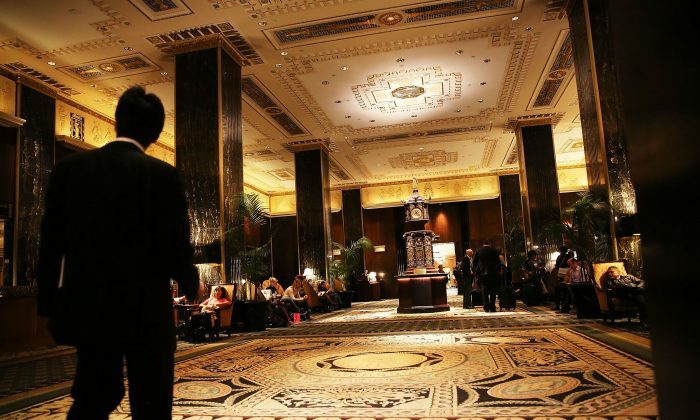 Hilton Worldwide announced today that it agreed to sell New York’s famous Waldorf Astoria hotel to China’s Anbang Insurance Group for $1.95 billion. Hilton will continue operating the hotel for the next 100 years. In most cases, a Chinese company buying an American hotel doesn’t raise an eyebrow, but the Waldorf isn’t just any hotel, and Anbang isn’t just any Chinese company. When China’s state-owned companies have sought to purchase assets in the United States, they have often encountered obstacles. While Anbang is not state-owned, it is structured in a different way described in a 2007 report by the U.S.–China Economic and Security Review Commission that still gives the regime control. “Beijing has been able to shroud its stake in a variety of firms by listing a portion of each such enterprise on public exchanges while maintaining ownership of the remaining equity, usually through a parent company,” the report stated. In the case of Anbang, state-owned companies, including Shanghai Automotive Industry Corp. and China Petrochemical Corp, are key shareholders inside a fairly murky ownership structure. In China, luxury hotels are often used as espionage chokepoints—places where surveillance cameras and other systems support everything from blackmail to theft. If someone brings a companion back to his or her room, a video can be used for blackmail. If a computer connects to a building’s Wi-Fi network, the computer can be breached. Meetings can be listened on. RFID scanners—scanners that read information embedded in chips—can be used to remotely scan and steal personal identification cards. The options are nearly endless. As part of the purchase, the Waldorf will “undergo a major renovation,” according to the announcement. At press time, Anbang could not be reached for comment. There is no evidence that Anbang intends to use the Waldorf for espionage. However, its state-run shareholders should raise warning flags here in the United States that Beijing may be calling the shots in the Waldorf deal. The unfortunate reality of selling assets to companies in China is that under China’s laws oversight and transparency become nearly impossible. For a location where security is as crucial as the Waldorf Astoria, that lack of transparency should have traveling dignitaries concerned.